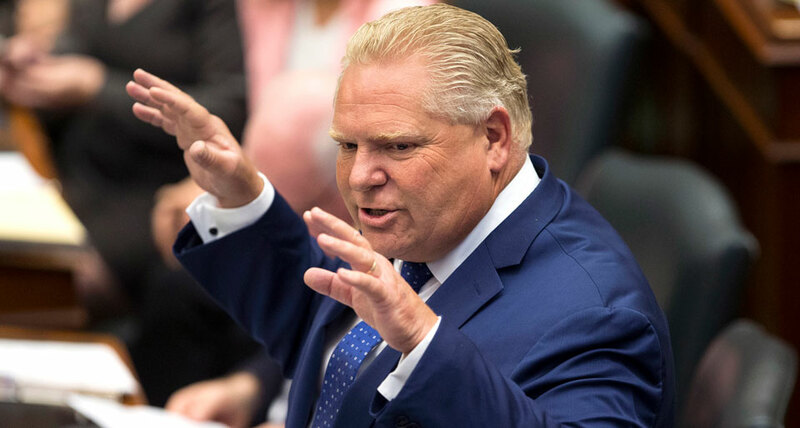 TORONTO—In a calculated and sweeping attack, the Ontario Conservative government of Premier Doug Ford has imposed a minimum 4 percent cut to university and college funding, threatened the very existence of student unions, undermined universality in post-secondary education, jeopardized programs and services essential to students, and opened the door to massive privatization. The government announced on January 17 that it was cutting university and college funding by $400 million ($305 million USD). The cut will be in the form of a 10 percent reduction in tuition fees, which the Tories have stated will not be made up by any other government funding. It is a cynical move, designed to position the government as defenders of “affordable tuition” in the eyes of working families, but one that is already widely understood to be an attack on post-secondary education (PSE). The government also announced deep reductions in non-repayable grants to students and an increase in loans, combined with eliminating the six-month grace period for loan repayment. Furthermore, students’ ancillary fees—used to fund student unions, services for students, and centers for women, Indigenous, racialized, and LGBTQ students—will be declared optional so that individual students may select which ones to pay. The government has stated that fees for health and safety initiatives will continue to be mandatory, but the reality is many of these services are provided through student unions, whose capacity to deliver them, and whose very existence, will be immediately threatened through optional funding. Ontario has had 16 years of decreased funding to PSE, and the current level is 11 percent lower than in 2002. Instead of fighting for adequate public funds and defending accessible education, university administrations have embraced tuition increases and deeper corporate penetration at colleges and universities. The net result is that Ontario universities have the lowest per-student funding levels in Canada, while students in the province pay the highest tuition fees in the country. Fees for international students are especially high. In response to this, student leaders and organizations are already mobilizing. The Canadian Federation of Students-Ontario was meeting in Toronto as the announcement was made and organized an emergency rally with students and labor allies. Students also organized rallies across the province as well, including in London and Windsor. The funding cut will also affect university and college workers, as administrations will undoubtedly propose cuts to jobs, wages, and benefits. Already, unions representing faculty and other teaching, program, and support workers have begun to work with student organizations to build engaging and united grassroots efforts to oppose the cuts and promote progressive PSE reforms. Canada's English-language socialist newspaper, in the tradition of The Worker, Canadian Tribune and Pacific Tribune. Publishing 20 issues per year.